Mum of Five Staying Sane: REVIEW; Five Little Ghosts hardback book by Patricia Hegarty & Julia Woolf, from Little Tiger Press. REVIEW; Five Little Ghosts hardback book by Patricia Hegarty & Julia Woolf, from Little Tiger Press. 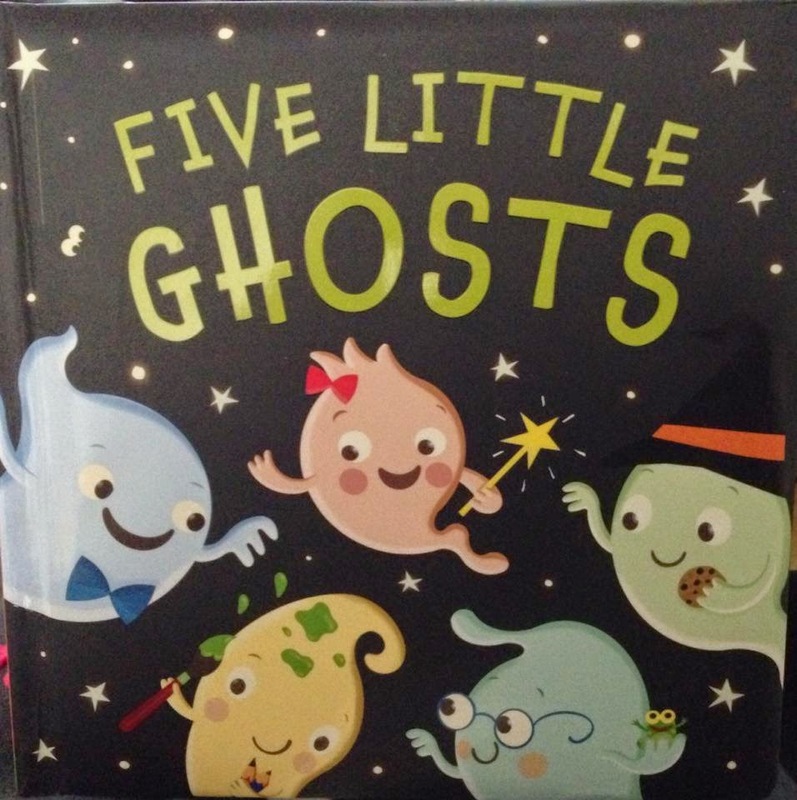 Follow the adventures of five little ghosts in this comical rhyming caper! 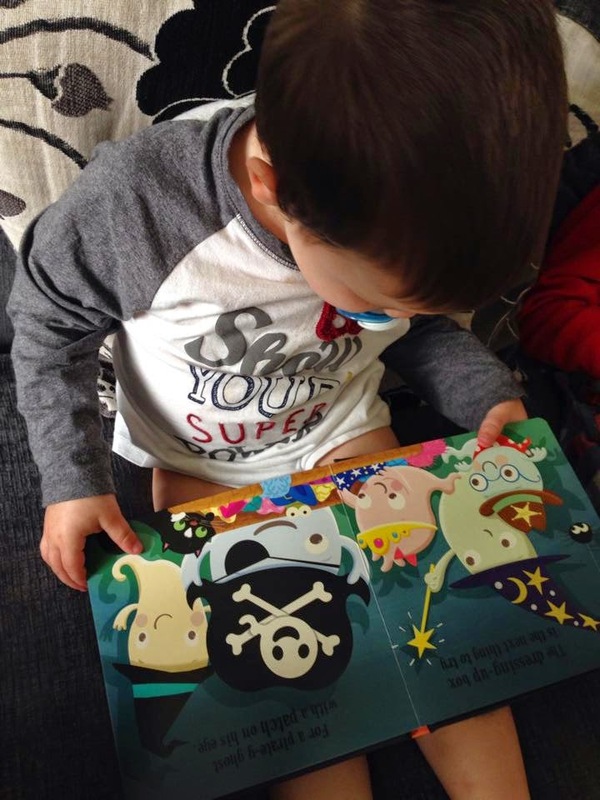 We were sent a wonderful book to review recently from Little Tiger Press introducing the little ones to Halloween as it fast approaches this year. 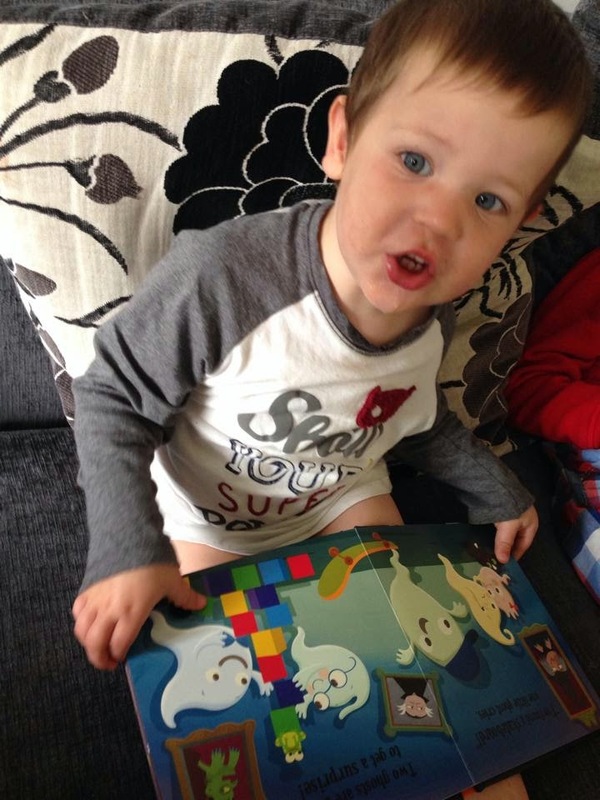 It is called Five Little Ghosts and is perfect for the upcoming Halloween/Autumn season although it will definitely remain a firm favourite on the book shelf all throughout the year as it has been warmly received buy my toddler. 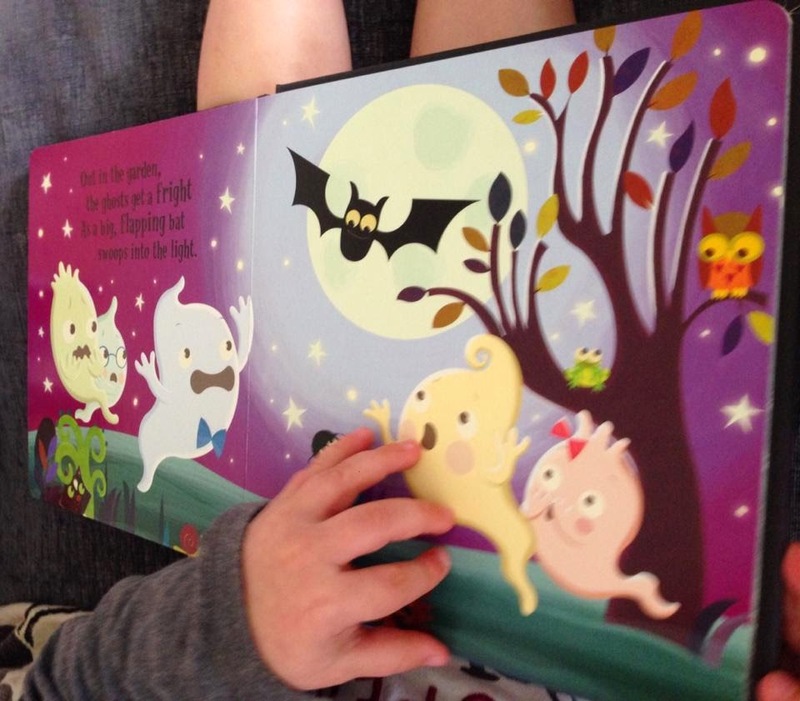 It is a decent sized padded hardback book with eleven double sides of chunky pages full of adorable pictures of the Five Little Ghosts as they go on their adventures. 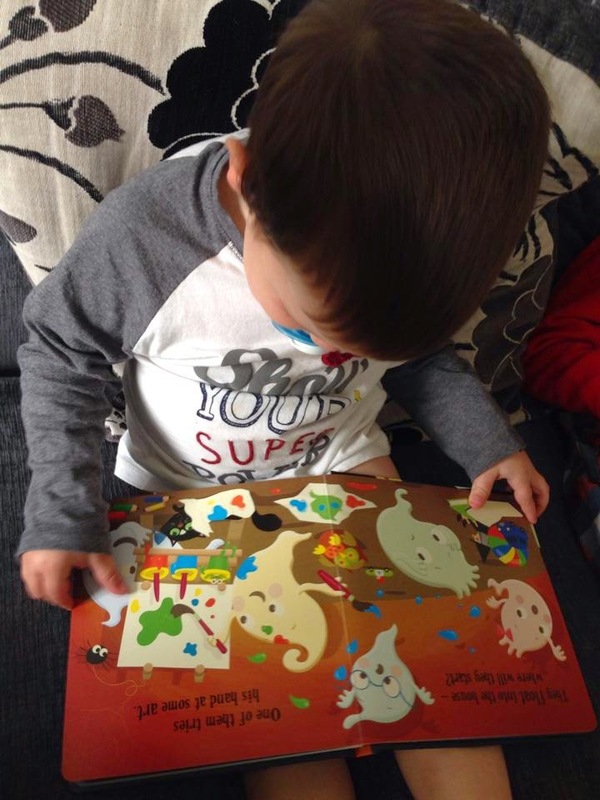 Ideal for children who are still getting to grips with books, my son still doesn't fully understand that we have to be careful with books, this will withstand being looked through over and over again by a heavy handed toddler! Thing 5 reading through his new book, just a couple of the colourful pages. Thing 5, aged 2, loves this book. He flicks through all of the pages looking for the spider that features on every page. We talk about where the spider is and what he is doing. As well as the ghosts there is the spider, a frog and a cat which follow through each page of the book. Pointing out the spider that he likes to search for on each page. 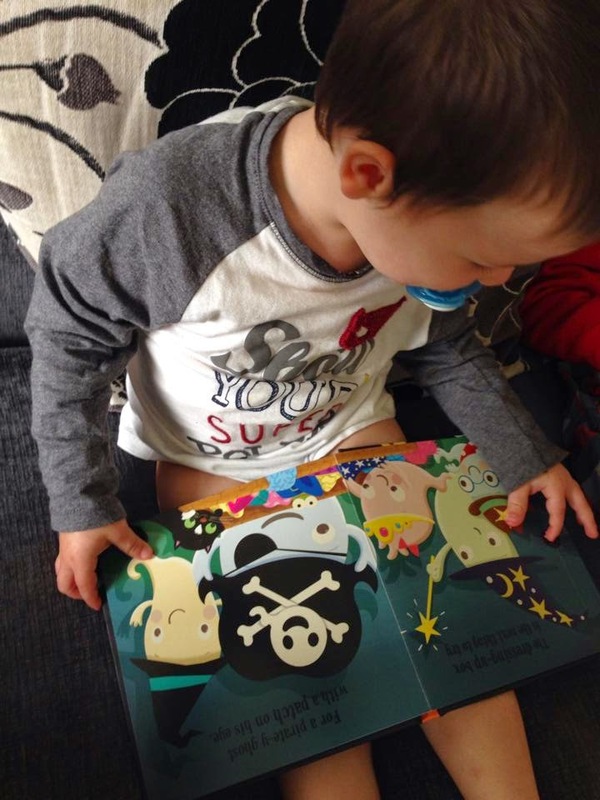 This is a lovely, delightful and colourful book that has really appealed to my 2 year old son. He loves picking it up and looking through the pages over and over again. Sitting down quietly and reading. Visit www.littletigerpress.com where you can view the full range range of books for children in a wide range of formats and genres. I love Little Tiger Press books. They are always lovely stories and so beautifully illustrated. We do love a good rhyming story! I'm sure it would be a big hit in our house. Aww! What a lovely sounds book. I was tempted by the sticker book but went with this one for my youngest to try out. I will take a look at your sticker book review.